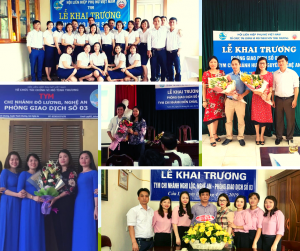 On April 5, 2019, TYM organized the opening ceremony for 8 transaction offices of 5 branches: Dien Chau, Quynh Luu, Do Luong, Nghi Loc and Hung Nguyen in Nghe An province. 1. Transaction office 02 in Yen Thanh district, Dien Chau branch, Nghe An province. Thus, as of now, all TYM has 21 branches and 38 transaction offices in 13 provinces/ cities.